Being Loudoun County born and raised, Lavonne finds inspiration both in her familiar world and in her travels. Her "toaster sized" work has been featured in the Little Washington Miniatures Painting Exhibition at The Ice House Gallery. Larger pieces have been seen at the Four Seasons of Oatlands show, Franklin Park Art Center, the George Washington University Virginia Campus, the Western Loudoun Studio Tour, and all three Loudoun Arts Council Decorator Showhouses. Her work is in the permanent collections of the Town of Leesburg and the County of Loudoun, the collection of Vaughan, Fincher & Sotelo, PC, as well as many other private collections. She has had several two-person shows with her sister and fellow artist, Danette Zirkle. She recently had one-person shows at Hillsborough Winery and at Gallery Two @ 222. The Holden School of Art, NOVA, conspiratorial neighbor Jan Blacka, and a variety of classes and workshops including those taught by Maggie Siner and Cathy Wilkin, have helped her perfect her techniques. 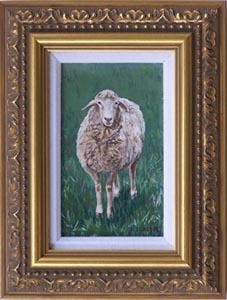 Lavonne is a member of the Loudoun Sketch Club and the Loudoun Arts Council.